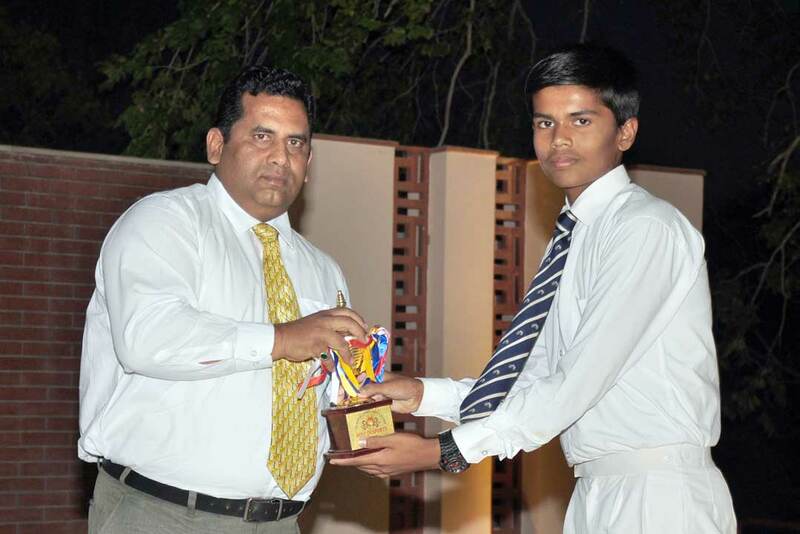 Annual House Report and Award Ceremony of Junior Houses was held at Shukla Memorial Open Air Theatre (SMOAT) on 21st April 2016. The achievements of each and every junior house was read out and the house masters gave away the awards to the meritorious students. Hiteshwar Sagar read out the Annual House Report of Jankoji House and Mrs. Niharika Kulshrestha gave away the awards. Then Shakti Mahendran read out the Annual House Report of Kanerkhed House and Dr Geeta Shukla gave away the awards. It was followed by Irish Rohra who read out the House Report of Dattaji House and Mr Kamlesh Singh came on the stage to give away the awards. Finally the house report of Nimaji House was read out by Tushar Gupta and Mrs Anita Pandey gave away the awards. It was indeed a proud moment for the achievers and the ceremony motivated many more to aim for excellence.